Join us on our musical adventures in the community as a Tosco Music Volunteer! Get involved with Tosco Music as a volunteer! Tosco Music has a great community of volunteers who help make Tosco Music Parties happen five times a year and also help with hospitality and other needs at TMP's, Tosco Music Open Mic every month, and other outreach activities in the community throughout the year. Become a volunteer to help with FABFEST - Charlotte's Beatles Festival - or to sing in senior communities, help weekdays in the office, or pass on Tosco Music news on social media as part of the Share Team. 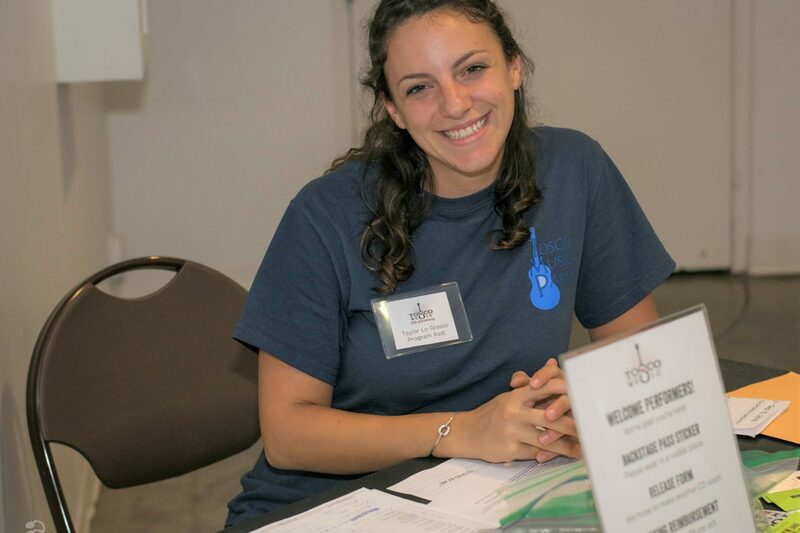 Tosco Music is a volunteer-powered nonprofit, and if you’re a live music lover who wants to join us for our live music adventures in Charlotte, come learn more at one of our volunteer orientations! To get started, attend a Volunteer Information Session! FABFEST - Charlotte's First Beatles Festival - hospitality, set up, merch, family fun room, etc. How to sign up for a Volunteer Orientation? Please include phone number and if you are available and interested in helping in a particular way (April 20 TMP or Sep 14 TMP, June 14-16 FABFEST, Tosco Music Open Mics, Senior Singalongs, office or something else).